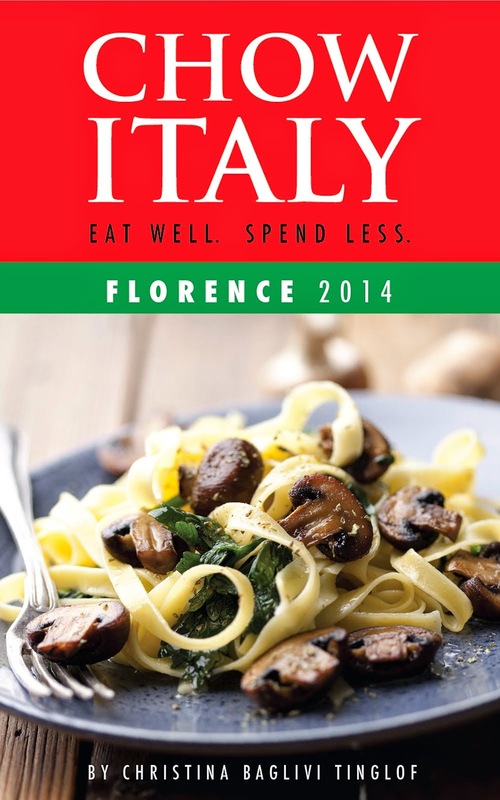 Chow Italy: What Should I Eat When I Visit Rome? What Should I Eat When I Visit Rome? More than half of Latium’s (one of twenty regions that makes up Italy) five-and-a-half million people live in the capital city of Rome where culinary trends are created and where eating habits seem to revolve around days or events of the week. If it’s Tuesday, for instance, polpette, those light-as-a-feather meatballs are the go-to dish. While on Thursday gnocchi, tiny dumplings tossed in grated parmigiano cheese are sure to be il piatto del giorno (the special of the day) at many trattorie. But on Saturday, the aroma of trippa alla romana (tripe simmered in tomato sauce) catches everyone’s attention. The region of Latium prides itself on its vegetables, too. The countryside just surrounding the Eternal City is mostly volcanic land, and the soil, rich in minerals and nutrients, enhances the appearance and taste of everything that grows. Though fields of peas, beans, celery, and lettuce blanket the nearby Alban Hills, the artichoke (carciofo) is the most popular with Romans. Served deep fried or “Jewish style” (alla giudia) or braised with garlic and then anointed in olive oil (alla romana), they’re always delicious and inexpensive. And what about pasta? Yes, of course! Romans take their pasta seriously. There are several specialties that spotlight this ubiquitous staple that every visitor must-try including: amatriciana (tossed with onions, guanciale or pork cheek but with a taste similar to smoked bacon, tomatoes, and white wine), carbonara (a rich, bacon-like cream sauce), cacio e pepe (a simple pairing of grated cheese and freshly-cracked pepper), and gricia (dressed with guanciale, pecorino cheese and pepper). Together these four dishes are the bedrock of a Roman’s diet. “But where’s the beef?” you may ask. It’s here alright but just not in the form of thick rib-eye steaks. Instead, Romans are known for their slowly braised beef dishes such as coda alla vaccinara or oxtail stew, and other lesser-cuts of meats such as the ever-popular trippa alla romana, or tripe braised in tomato sauce. Lamb (agnello/ abbacchio) is also a favorite and comes roasted, al forno, or small, grilled chops, abbacchio a scottadito. Saltimbocca alla romana, veal scaloppini topped with a thin slice of prosciutto and sage leaves, is a must-try as well. And although pizza is a Neapolitan specialty, don’t discount the pie in Rome. A thin, crisp crust topped with a variety of fresh ingredients and quickly baked in a wood-burning oven will dazzle your taste buds. It’s true heaven on a plate. Buy it by the slice, “al taglio,” at a take-out stand or order a small, plate-size pie for yourself at one of many fantastic pizzerias throughout the city. Rome is the best city to start an Italian holiday. The friendly, casual nature of Romans makes dining and touring a delight. 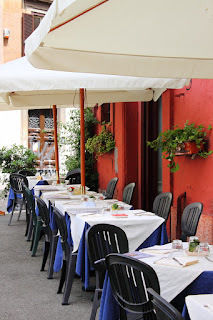 In summer, trattoria owners pull tables from hot, stuffy dining rooms out to the sidewalks. People parade by and seek out old friends. If none can be found, they’ll make new ones from the diners enjoying the balmy evening and home-style meal. 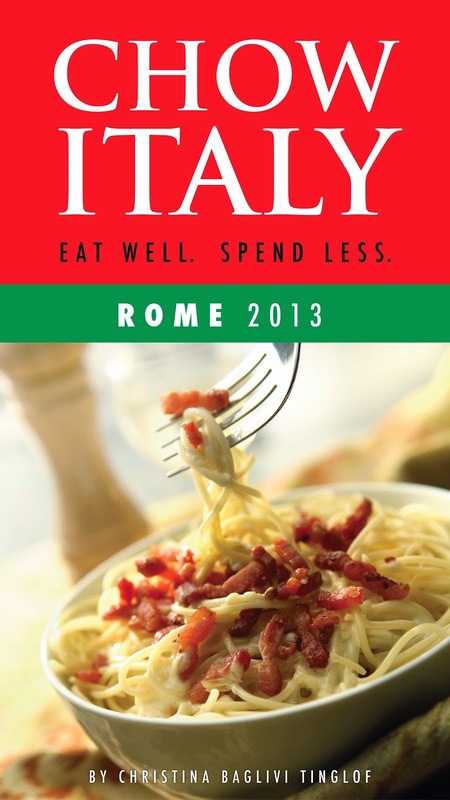 Excerpted from the recently-released e-book, Chow Italy: Eat Well, Spend Less (Rome 2013).